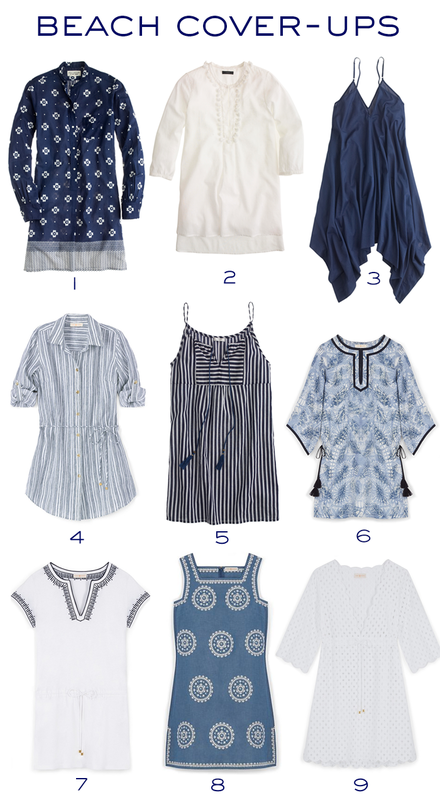 All of the above is from Tory Burch where gorgeous blue and white apparel is in abundance. I love blue and white for spring and summer -- it's so fresh, crisp, and classic. And, below are some of my favorite cover-up picks. I found something for all ages. Pretty sure my favorite is #1. Do you have a favorite here?